Bring the spa home to your bathroom! 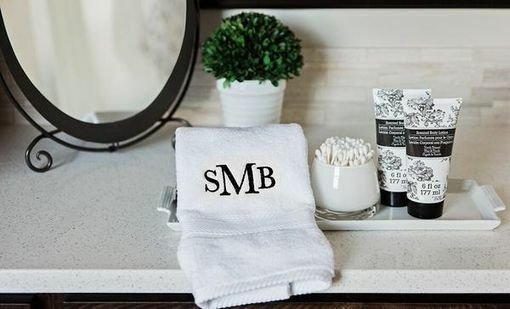 These beautiful, luxury towels will add a touch of class to any bathroom. Made from 100% Miasma cotton for a plush and extra-soft feel, these lovely towels are the perfect gift. The high quality zero twist cotton loops create a premium yet also absorbent towel. 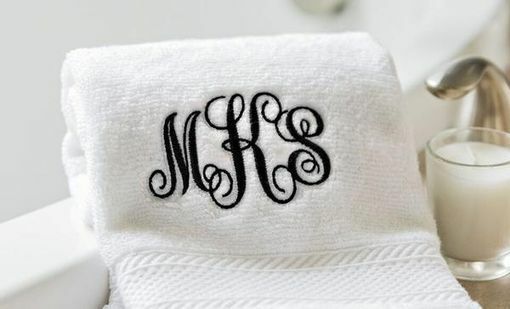 You'll enjoy the personalized monogram in three different styles. 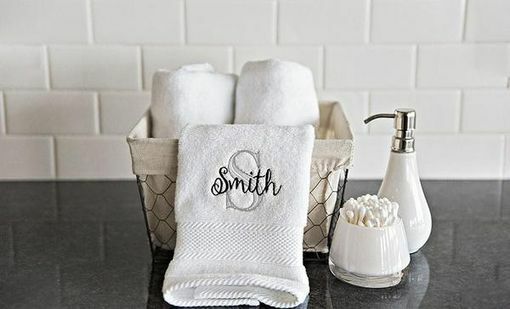 These classic and elegant towels will make an absolutely perfect wedding gift for the happy couple, but we know that you'll also want to order a set for your own bathroom, too! Available in timeless white. Hand towels: 16 x 28"